IIED's Achala Abeysinghe and Subhi Barakat, alongside Michal Nachmany of the Grantham Research Institute on Climate Change and the Environment, co-author a chapter in the book 'Trends in Climate Change Legislation' that explores how a deepening understanding of the importance of climate change has caused a recent and rapid increase in the number of climate change or climate-related laws. Split into three sections, the book analyses the political, institutional and economic factors that have motivated this surge. It explores how climate change legislation has been enacted on a global scale across both developed and developing countries and – importantly – establishes the link between the international commitments under the Paris Agreement and their delivery at national level. 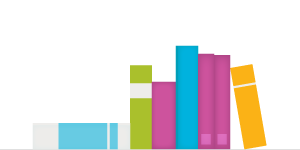 The book identifies the key provisions that good climate laws should contain, and addresses factors that influence the passing of climate laws. In an interview Subhi Barakat explains in more detail how the Paris Agreement and Sustainable Development Goals have been drivers for countries to put in place legislation that tackles climate change. "Both the Paris Agreement and the 2030 sustainable development agenda are particularly relevant for climate law. They cement countries' resolve to not just take national action around climate change but also action that strives to tackle other global social, economic and environmental issues, such as eradicating poverty. These issues and actions to address them are very intertwined," says Barakat. "This book begins to crystallise what many already know to be the case − that countries around the world are taking climate change seriously and taking steps at the highest levels of government to address it. By identifying trends, we also start to see regional and other clusters with different approaches. This can give an initial idea of how climate change is being addressed in different contexts." The chapter 'Climate change legislation in the least developing countries' provides an insight into the experience and trends of these nations that are among the poorest and the most climate vulnerable. Weaker legal systems coupled with resource constraints means that the shift to developing and enacting climate legislation in least developed countries (LDCs) has been relatively slow compared with other countries. "Part of IIED's work is to support LDCs as they try to achieve their global climate change priorities and implement their actions on the ground," adds Barakat "Highlighting the realities and challenges faced by LDCs is an important aspect of this work. In the chapter we highlight some of the reasons that LDCs are falling behind in developing and enacting effective climate-related legislation. "With that said, the chapter also shows the remarkable leadership LDCs are demonstrating in this area and the bold action they are taking to push ahead with climate action despite the challenges they face." Saber Hossain Chowdhury, president of the Inter-Parliamentary Union, said: "This book is an essential and timely reference tool for parliamentarians and policymakers on practical aspects of climate change legislation. Parliamentarians play a critical role in designing, adopting and implementing appropriate legislation to make the Paris Agreement effective. 'Trends in Climate Change Legislation' provides important insights into how legislators and policymakers can close the policy gap on climate change – the most defining challenge of our time." Andrew Jordan, University of East Anglia, said: "Climate governance is adopting a more open and polycentric form. 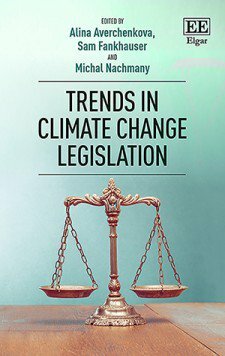 This important new book sheds new light on the unexpected proliferation of climate legislation at the national level, focusing on its adoption, legal form and unfolding effects on private actors and the judiciary. At such a critical point in the history of international climate diplomacy, when practitioners are anxiously seeking new ways to plug governance 'gaps', this book carefully explores the promise – and the limits – to governing via national legislation." Michael B. Gerrard, Sabin Center for Climate Change Law, Columbia Law School, said: "The Paris climate agreement was a landmark of international diplomacy, but it is not self-executing. Fulfilling its objectives will require domestic implementing legislation in almost all of the nearly 200 countries that are signing on, but most countries lack the needed laws. This book arrives at a crucial time. It is an essential guide to how existing climate legislation around the world should be improved and what new laws should be enacted. Its sharp analysis and exhaustive research will be invaluable to lawmakers and those advising them." Achala C Abeysinghe is principal researcher in IIED's Climate Change research group, and leads the global climate governance team. She is an expert on legal issues in international climate change negotiations. She is currently legal and technical adviser to the chair of the LDC Group for the United Nations Framework on Climate Change (UNFCCC). 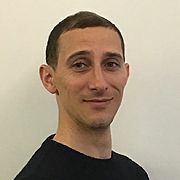 Subhi Barakat is senior researcher (environmental economics) in IIED's Climate Change research group. He is an expert on public international law, international human rights and humanitarian law, and international environmental law on climate change.